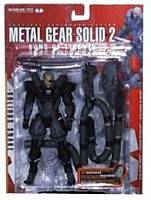 Description Of Item: Metal Gear Solid 2 - Solidus Snake. From the hit video game Metal Gear Solid 2: Sons of Liberty. Each figure is beautifully crafted and fully poseable. Collect them all.